New! Gillette Fusion Proglide. Gillette's best shave, even if you shave every day. 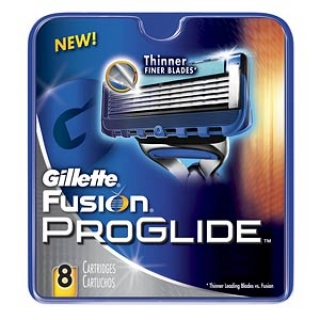 Fusion ProGlide's breakthrough blade technology helps deliver Gillette's most comfortable manual shave ever. Its thinner, finer blades provide significantly less tug and pull and effortless glide.